The poster for the “The Power of Ten” talk series has been awarded the Bronze Trophy in the poster category of the 48th edition of the Laus awards for Graphic Design and Audiovisual Communication organized by Spain’s Association for Graphic Designers. 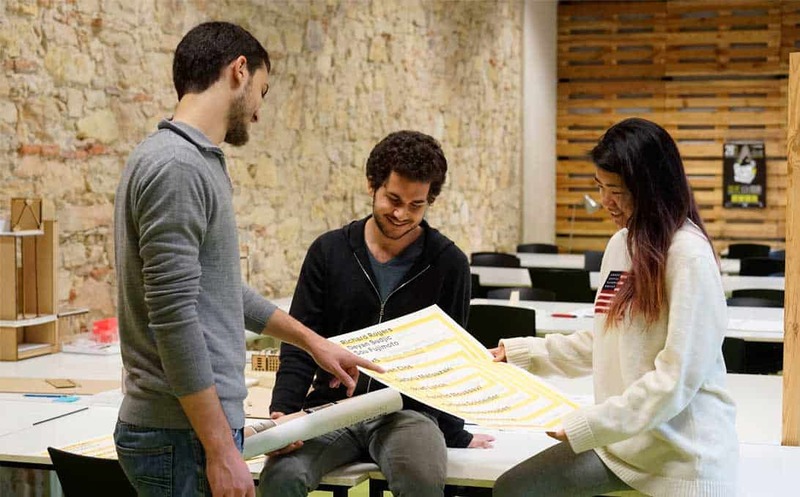 The poster was designed by the 2×4 Madrid studio under the leadership of Jeffrey Ludlow, professor of IE’s Bachelor in Design program. 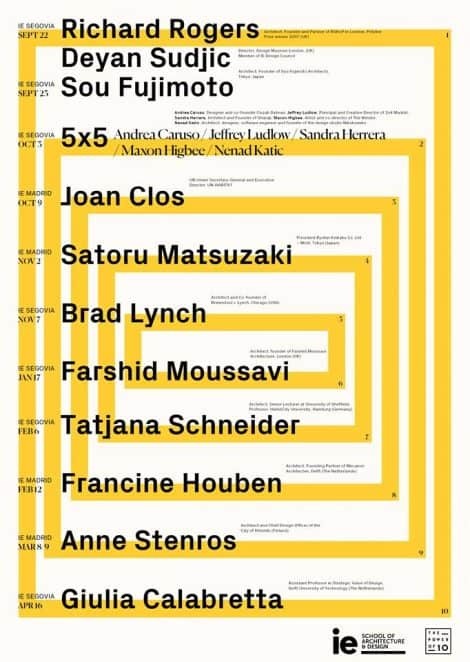 The poster was used for a series of ten talks held at IE’s School of Architecture and Design over the course of this year with international guest speakers that included Richard Rogers, Naoto Fukasawa, Francine Houben and Anne Stenros. The poster was designed by 2×4 Madrid where Professor Jeffrey Ludlow serves as executive director and creative director. “When we were approached to design the poster for the The Power of Ten lecture series, we knew that we would need a flexible design that could communicate ten lectures individually but also together as a full list. 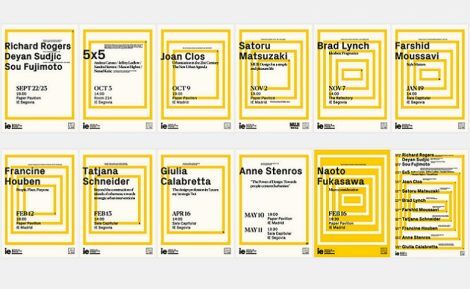 Inspired by the original ‘Powers of Ten’ video by the Eames brothers, we designed a nested graphic system that could be pulled apart to show individual lectures and also be put together to show all the full lecture series in an exciting way,” said Ludlow after receiving the award last Friday at the Fomento Foundation for Art and Design in Barcelona. “This not only resulted in the poster being voted as the best academic poster by the influential website Archinect, but also influenced the dynamic animated GIFs for social networks that accompanied each individual event.” As Ludlow commented, last December the poster achieved the No.1 position in the international posters competition run by Archinect magazine in which it competed with other prestigious architecture schools, including those of Harvard, Yale and Sci-Arc. Every year, the ADG Laus Awards for Graphic Design and Visual Communication recognize the best projects in over 50 sections within five categories: Graphic Design, Digital, Advertising, Audiovisual and Students. 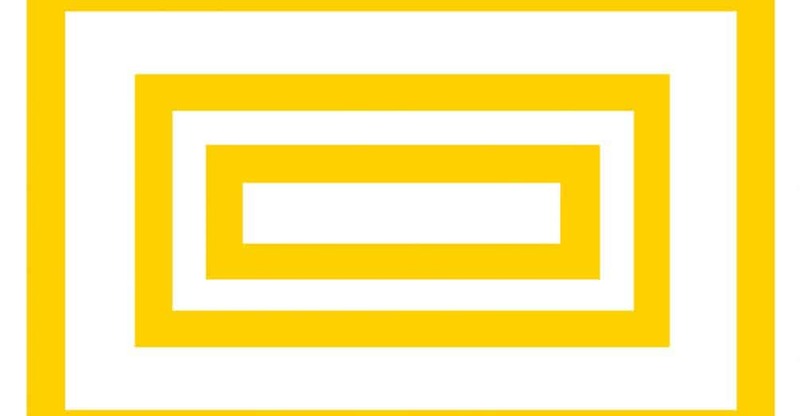 The Laus Awards aim to foster design by underlining its cultural and economic importance for society, as well as supporting the professional environment in the field. The criteria are conceptual quality, formal quality, functionality, excellence and contribution.